The necessity of the Car Parts Nigeria App is to make purchase of quality auto parts in Nigeria accessible to consumers. With the app we are making it easier for customers to interact, buy and generally do business in the marketplace. The App connects the customers to what they want faster without going through the internet. It solves a myriad of a problem particularly when you are on the move. 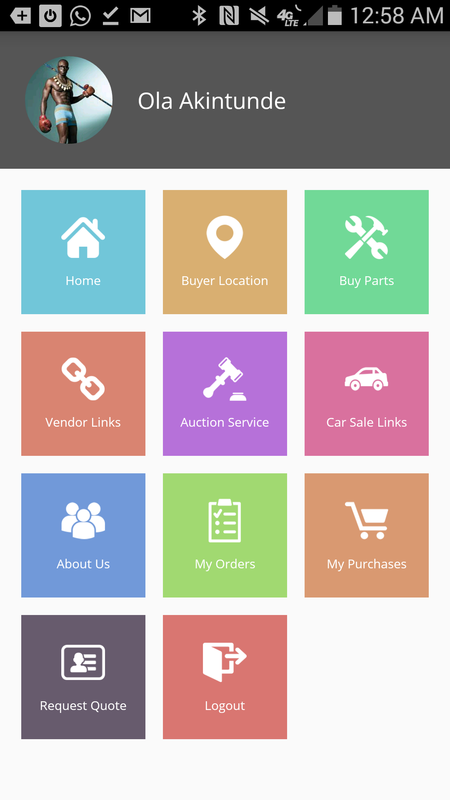 Basically, the app helps you search for auto parts, cars available for sale, read auto related news on the blogs and also interact with us on the forum page. The website provides the same service but when on the move, these apps provide instant access without having to enter a URL and wait for the site to load, whereas it takes a second to launch the mobile app. Additionally, the app is to guarantee more presence on a phone than a browser bookmark, which also helps to build customer loyalty because we are in front of them at all times. This way, we increase our customer engagement. The point of the app is to seamlessly connect and interact with customers, making it a valuable tool for the modern business. This is the initial release which is optimized for Droids, the iOs version would be available for downloads March 2018. - A real-time used and new auto parts database you can trust.